PRIMObolan Depot is an injectable version of the steroid methenolone. In this preparation, an enanthate ester is added to the steroid, which causes a slow and gradual release from the site of injection. Its duration of activity would thus be quite similar to Testosterone enanthate, with blood levels remaining markedly elevated for approximately two weeks. Methenolone itself is a long acting anabolic, with extremely low androgenic properties. On the same note the anabolic effect is also quite mild, its potency considered to be slightly less than Deca Durabolin (nandrolone decanoate) on a milligram for milligram basis. For this reason, PRIMObolan is most commonly used during cutting cycles when a mass increase is not the main objective. Some athletes do prefer to combine a mild anabolic PRIMO with bulking drugs such as Dianabol, Anadrol 50 or testosterone in order to lower the overall androgen dosage and minimize uncomfortable side effects. When choosing between PRIMObolan preparations, the injectable is preferred over the oral for ail applications, as it is much more cost effective. PRIMObolan does not give fast gains, or more accurately, does not cause a quick increase in water retention, therefore it?�?�?�????????? ?s considered ?�?�?�??????�weak?�?�?�?????? ?, yet in terms of building solid muscle, it?�?�?�????????? 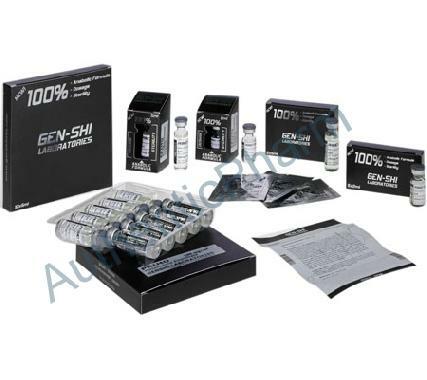 ?s one of the most effective steroids available. PRIMObolan can be an outstanding size drug on a bulking cycle if you consume adequate protein. That is the principal on which it is based. It repairs though increased anabolism. Without the food source, the drug has nothing to work with, so if you aren?�?�?�????????? ?t committed to training hard and eating a lot of protein, PRIMO will be a disappointment. But for more advanced trainers, and those who are used to training naturally, PRIMO will seem like a wonder drug. PRIMObolan can be an excellent addition to HRT (Hormone Replacement Therapy) (200 mgs of PRIMO with 100mgs of testosterone weekly) but it is not available with a prescription in most countries. PRIMObolan is usually injected several times a week since a cc contains only 100 mgs due to a heavy molecular weight. It?�?�?�????????? ?s active for approximately 2 weeks. Anything under 200 mgs a week will not show a tremendous difference but once it goes to 400 mgs, that?�?�?�????????? ?s when the magic usually begins. Also due the molecular weight, PRIMO tends to be a painful shot. Not bad going in, but the next day you can expect some soreness.